Hi kids! 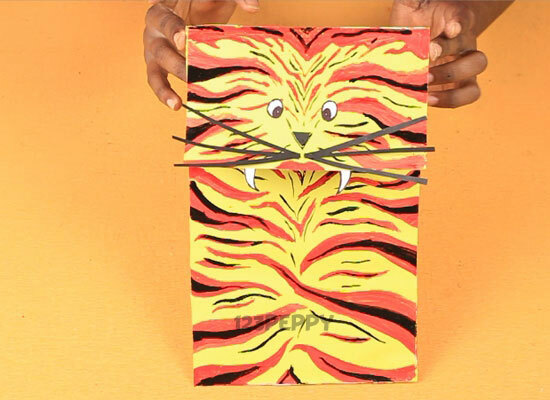 This easy Paper Bag Tiger craft project will really help you to use your time meaningfully. Yes, these kind of craft activities will stimulate your creativity on arts and craft ideas. Watch the video tutor, or follow the text direction carefully and make one.You can create varieties of crafts out of paper bags or other simple materials like this. A perfect craft project for the kids 8+ years.